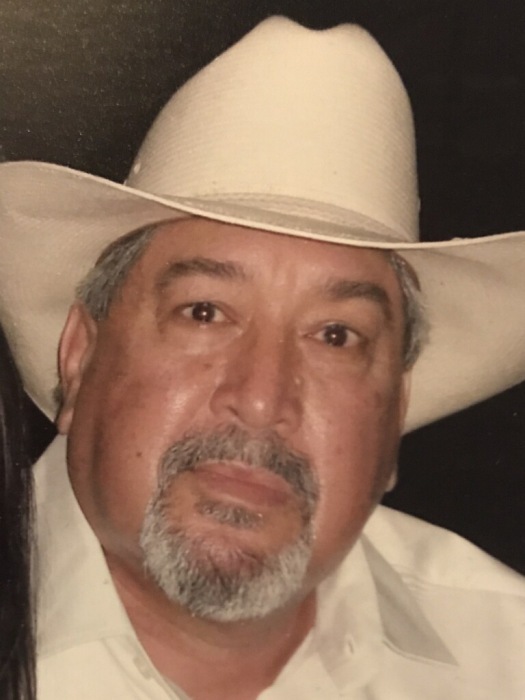 Sinton – John Ortega Pina passed away peacefully on February 8, 2019. He was 72. John was born on January 15, 1947 to Estanislao and Catalina (Ortega) Pina in Taft, Texas. He was a resident of Sinton since 2002, and former resident of Portland, Texas. John was retired. He owned and operated a backhoe and dump truck business. John proudly served his country in the United States Army. He was a loving and caring husband, father, grandfather and friend. John will be missed by all who knew him. Preceding in death are his parents, Estanislao and Catalina Pina; 2 sisters; 6 brothers; and in-laws: Pablo and Josefina Gonzales. Survivors include his wife: Suzy Pina of Sinton, Texas; 2 sons: John Derek Pina (Angela) of Seabrook, Texas and Michael Skelly (Shantell) of Huffman, Texas; a daughter: Sabrina Moreno (Eric) of League City, Texas; 11 grandchildren: Cassie, Koty, Austin, Collen, Darren, Braeden, Raelyn, Carson, Madelyn, Caleb and Derek; 2 brothers: Mike Pina (Yolanda) of Wharton, Texas and Hector Pina of Carrollton, Texas; and numerous extended family members and friends. Visitation will be begin Monday, February 11, 2019, 6:00 PM at Resthaven Funeral Home Chapel, Sinton. The Funeral Service will be held Tuesday, February 12, 2019, 9:30 AM at the funeral home. Burial will be held the same day, 11:00 AM at the Coastal Bend State Veterans Cemetery in Corpus Christi, Texas.